Sav On is equipped to handle the transport of office furniture, plus the special needs involved in packing and moving computers and other sensitive electronic equipment. 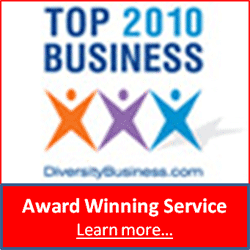 We also understand that office moves need to be performed at a time that is most convenient for your business. For this reason, we offer after-hours and weekend office moving services designed to keep from disrupting your employees during crucial business time. Our trained associates will work with you to determine where each piece of office equipment should be placed in your new location. This will help us perform your move quickly and accurately. 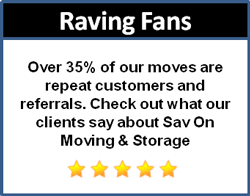 Sav On Moving is a government and military approved moving service provider. Please call 1-800-675-2956 to schedule a no-obligation in-office move survey.